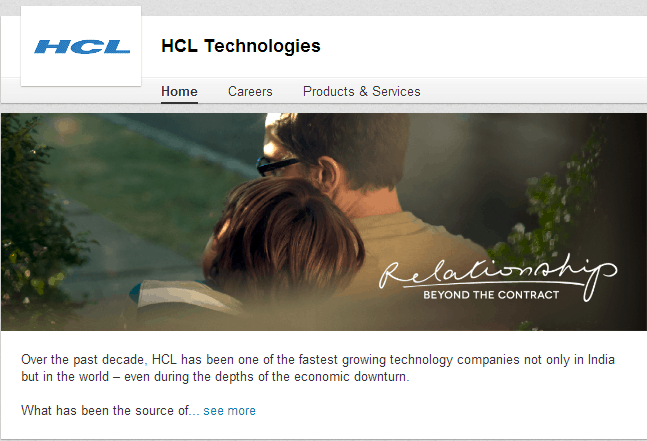 HCL is a leading global Technology and IT Enterprise with annual revenues of US$ 6.3 billion. The HCL Enterprise comprises two companies listed in India, HCL Technologies and HCL Infosystems. Its range of offerings span R&D and Technology Services,Enterprise and Applications Consulting, Remote Infrastructure Management, BPO services, IT Hardware, Systems Integration and Distribution of Technology and Telecom products in India. The HCL team comprises 92,000 professionals of diverse nationalities, operating across 31 countries including 505 points of presence in India. 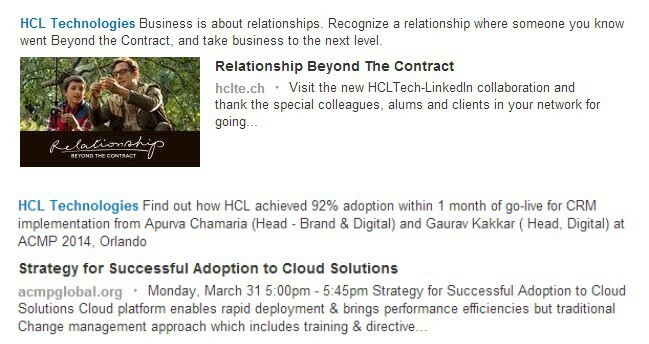 HCL has global partnerships with several leading Fortune 1000 firms, including several IT and Technology majors. CIO Straight Talk is a Global Thought Leadership program by HCL for discovering ideas that matter. • To bolster the reach and have a continuous engagement plan through content on a credible professional platform. • Discussion threads on various business-technology subjects including CIO leadership were successfully initiated in the community. • A mix of LinkedIn audience recruitment tools were employed to optimize the program and get the desired response on the marketing dollar spent. • The engagement picked up significantly with more than 10% of community members participating actively in various micromarketing initiatives like webinars, magazine on special topics big data and mobility to name a few.